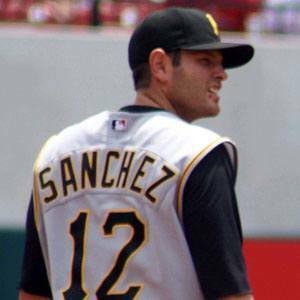 All-Star second baseman who led the National League in hitting in 2006, while playing for the Pittsburgh Pirates. He was a three-year varsity baseball star at Burbank High School in California. He was a member of the 2010 World Series Champion San Francisco Giants, hitting a respectable .273 in the World Series. His first son Evan was born April 19, 2005. In high school, he played in the same summer league as All-Star shortstop Jack Wilson.